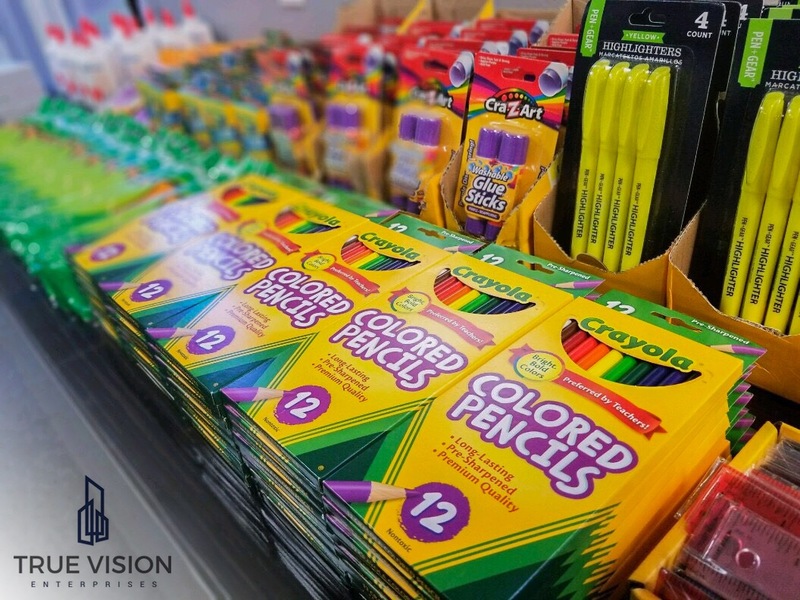 This past week, True Vision Enterprises partnered with Families Forward to collect new school supplies for children in need. Our Hands-In charity initiative focuses in giving back to the local community and there is no better time than back to school time to give back. The team collected backpacks, rulers, erasers, highlighters, pencils, notepads, and folders to donate before August, right before school starts. Packing the backpacks with all of the goodies brought the team together and even those who had the day off, came in to help and be put to work. Giving back always brings our team closer and our True Vision family closer to the community. True Vision Enterprises specializes in retail programs for our clients’ products and services. Our extensive client base speaks for itself while we also represent the leader in Satellite Television Services. With the unveiling of our new marketing program, we have developed a major presence in some of largest chain retailers in the nation.